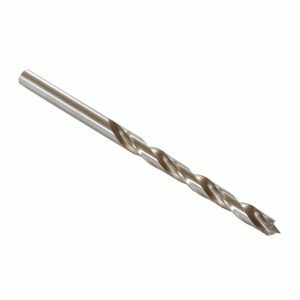 The TP-1935 is our complete hardware drilling solution for hardware up to 38” C-C, plus the bonus of shelf pin holes. 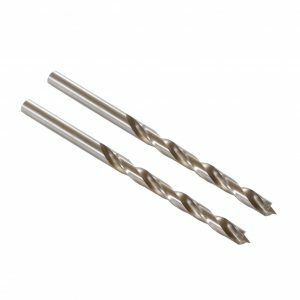 drawer fronts max width 42"
The TP-1935 is our complete hardware drilling solution for hardware up to 38” C-C, plus the bonus of shelf pin holes. This is the hardware solution you have been dreaming about! Includes items TP-1934, TP-2312 and TP-ERA, making it the must have professional hardware installation tool. It is the only jig of its kind, addressing virtually every handle on the market as well as the added bonus of installing shelf pins on the go! Install Knobs and Handles without the tedious hours of measuring or making jigs – Fast, accurate hardware installation in seconds, every time. Adjust the sliding guides along the laser etched rulers (inch & mm) to precisely match your hardware location and measurements. Tighten the thumbscrews and drill through the hardened bushings, no clamp needed! Reversible design allows you to flip the tool over to the next door without adjustment. Includes additional guide for drawer fronts, and end stop for doors. Install cabinet hardware in minutes, not hours! This thing is amazing. If you need to drill more than a few doors then it is worth every penny. I bought it only for one project, my kitchen, knowing that my precision drilling is a little lacking. Drilling into your cabinets incorrectly can cause serious cosmetic problems as well, so I figured it was relatively cheap insurance. I drilled every single hole perfectly, about 100. I was even going to sell it on ebay when I was done but no way, I’ll have this forever. I am a finish carpenter, have been doing carpentry work for over twenty years and this is a tool I should have invested in years ago. By far the best cabinet door jig I’ve used to date. Was easy to set up, kept my drill bit straight and prevent flair out on back side of hole when using drill bit stop. I was able to cut my handle installation in half. Well built tool and durable, seems like it will last for years. My only gripe about this tool is the carrying case, it’s card board would love for it to be some material more durable. I’m figuring if I keep by itself away from the other tools it will be fine. Thanks for a great tool Made in America. Best Knob & Handle Jig EVER!!! I own a Kitchen & Bath Showroom, we average 1 kitchen & 1 bath ever week. This tool is by far the best Jig we have ever used. Have more than a dozen other jigs collecting dust now. So if you are looking for a jig don’t look any further, yes this jig is a little more expensive, It is the BEST. By the way, Value Tools, USA provided the most amazing customer service. This jig take all the tedious work out of installing cabinet hardware. Just a little measuring and setting and you are ready to go weather installing one, twenty or a hundred. I have several type jigs but this tops them all. This thing is built like a surgical instrument. I had about 30 handles to install on my new kitchen & pantry cabinets. Ten were 7 inches on cabinet doors (all the same) and the rest were 13 inch pull handles on 30 and 36 inch drawers. The lower drawer faces are inset about 3/8 in from the frames (Shaker style) so that made 4 variations of drawer set-ups. I’m not an installer, just doing my own install in my own house. If I goof up a door or drawer front it would take a month to get a replacement and the cost would be most of what this tool cost. The tool worked better than I expected. I read the reviews so, I made sure the thumb screws were very snug and checked them frequently while using it. What would have taken me all day ended up taking about 70 minutes start to finish. Everything turned out perfect. This thing is built like a surgical instrument. It does exactly what the manufacturer says it will. Personally I consider the price to be a bargain. Labor is not cheap in the big city, this tool will pay for itself after a couple of jobs. Then it will make me money for the next 20 years. Best product on the market! Best hardware install tool we have ever used in 10 years doing remodels. I am a professional cabinet installer. This jig is the best I’ve ever seen. Highly recommend it. Copyright © 2019 True Position Tools. All Rights Reserved.